A holiday in France’s Vanoise National Park delights you with incredible scenery, great hikes and wonderful French cuisine and culture. 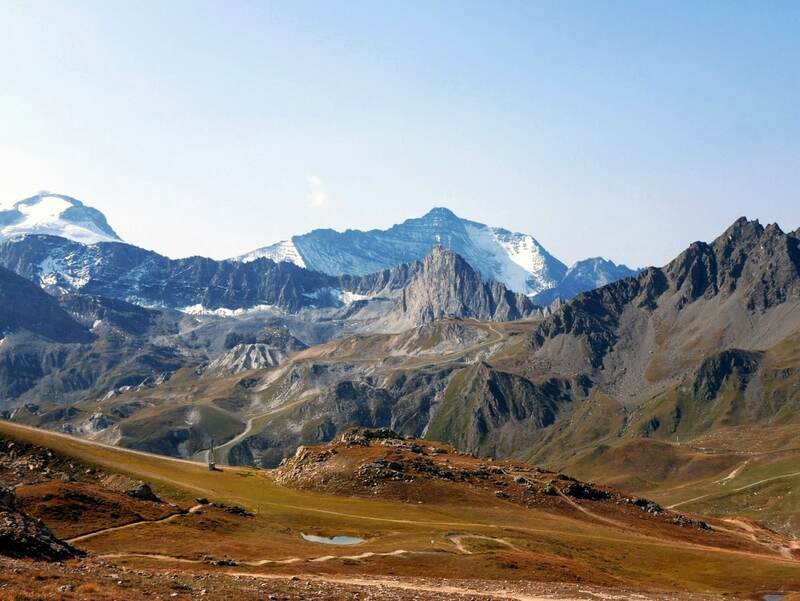 This vacation planning guide to Vanoise will tell you about the best villages, refuges, meals and activities in Parc national de la Vanoise. 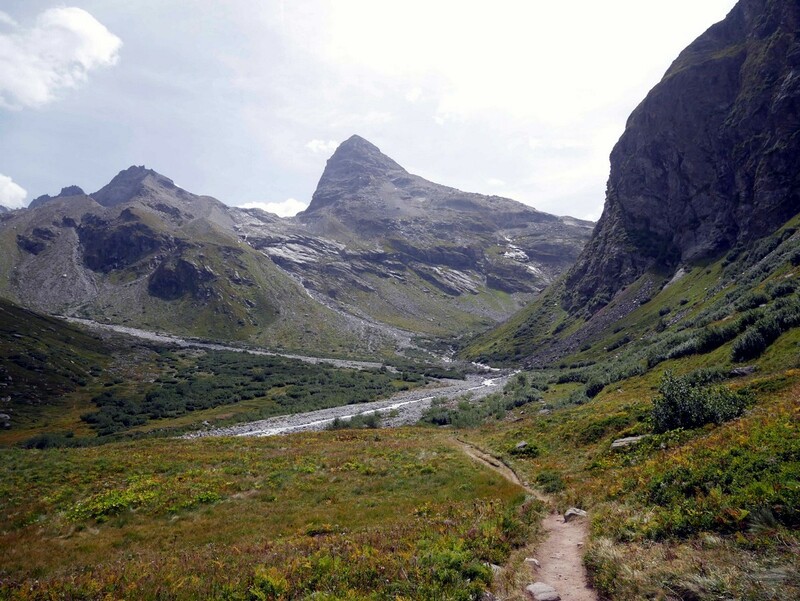 Planning a hiking trip to the Vanoise has never been easier. 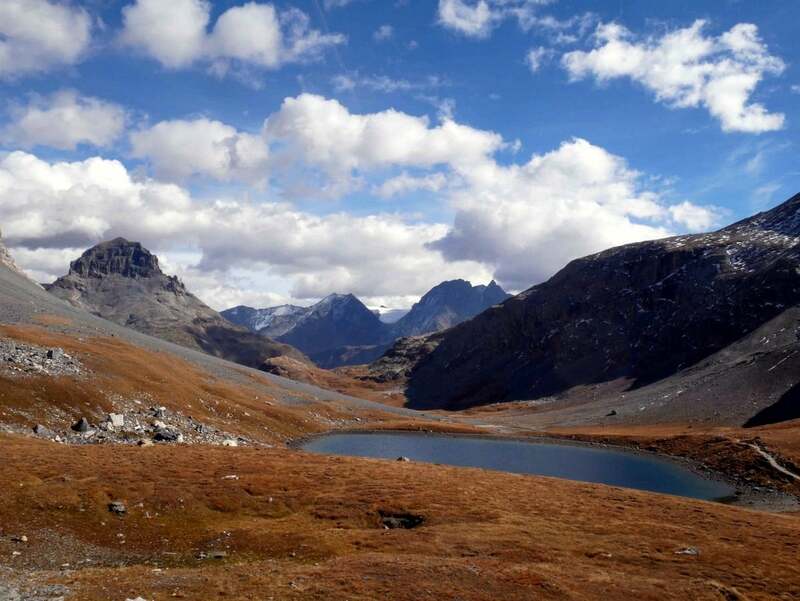 Parc national de la Vanoise was the first French National Park when it was created in 1963. 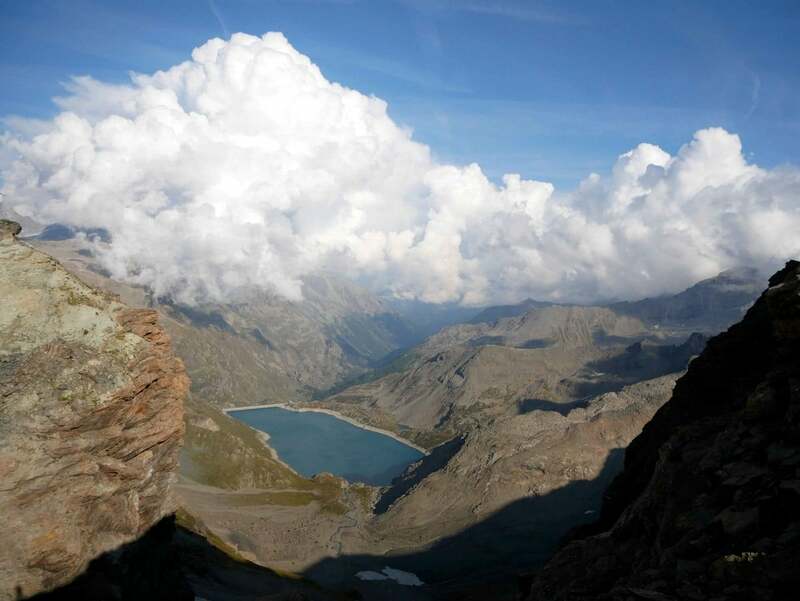 Today a hiking holiday in Vanoise is still an amazing way to spend your vacation time. With incredible mountain scenery, great little villages and wonderful culture and cuisine, the Vanoise is a great holiday desitnation. The region is better known for skiing, with major resorts like Val d’Isere, Tignes and Les Arcs located in the Park. While skiing is obviously very popular in this region we want to focus on the great hiking opportunities in summer. As with many great skiing areas, the infrastructure of lifts and refuges allows for a more comfortable hiking trip. You can use the lifts to get into the alpine easily, allowing more time and energy devoted to the stunning scenery. The wonderful mountain huts (called refuges) abound, each one offering classic, simple, local meals. In fact, in the “Where to Stay” section of this piece it goes through a list of the Refuges you can visit while on one of the hikes we share. While you could eat and sleep your way through the list of refuges and hikes if you want! However, then you’d miss the chances to stay in one of Frances most charming villages, Bonneval-sur-Arc. So many choices it seems, but thankfully in Vanoise you can’t seem to make a wrong choice. The two major airports near Vanoise are Geneva (GVA) and Lyon (LYS). They both take about two to three hours to get to Val d’Isere in the summer. There are a few train and/or bus transfers to get into the park from either Lyon or Geneva, so as you’ll learn later on, we recommend renting a car. The closest airport would be Chambéry Airport (CMF), which has much more limited service. In addition, it is sometimes challenging to find cheap transfers from this airport. Answering the above question depends on what you want to do. You ski in the winter and hike in the summer. Typically you can still ski in the spring, and actually a lot of people prefer it to the winter as it’s a bit warmer. Just be careful it doesn’t get too warm. In the autumn you usually can keep hiking until the snows come, though you’ll need to pack some extra layers. One thing to note if you are in the south side of the park in winter the road north to Val d’Isere is typically closed. Renting a car makes sense for a trip to the Vanoise. While there is some public transportation, this is an area you want to explore by car if you’re able. This is especially true outside July and August, when the park can be fairly quiet, and services may be reduced. It’s really best to have the freedom a rental car gives you. Now if you’re going to ski then this all changes. There are many shuttles offered by hotels, chalets, and ski lodges. You probably wouldn’t even want to drive much in winter, so in that scenario you can easily find transportation to get you to your lodging and to the lifts. 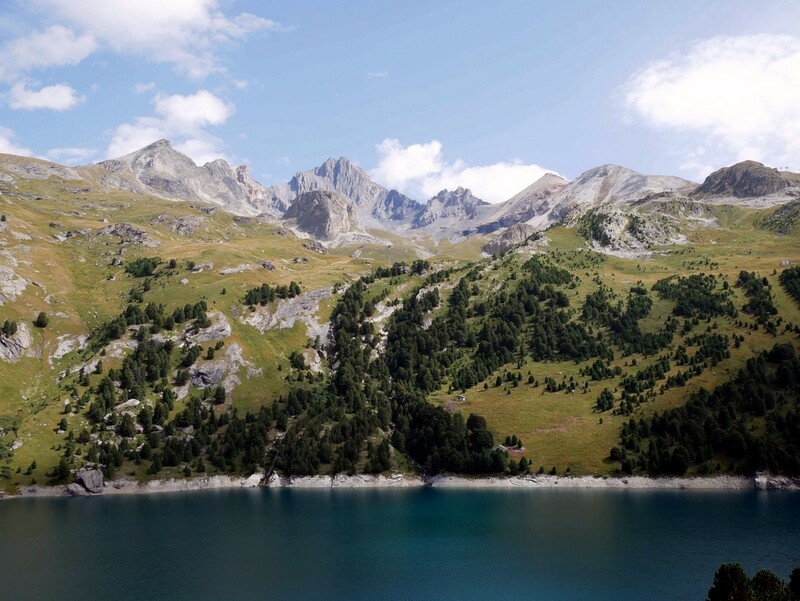 There are so many options to stay in the Vanoise, from camping to luxury hotels. We will share some of our favourites below. One of the great strengths of the Alps are the refuges scattered in the mountains. These huts are great for a nice meal or refreshment while on a hike, or you can rent a room and spend a night. Here’s a basic rundown on the refuges in Vanoise we recommend. For a good hut that is situated near two of our hikes is the Refuge to Prariond. You can access the Vallon du Prariond and the Col De La Lose Hike from this charming hut. 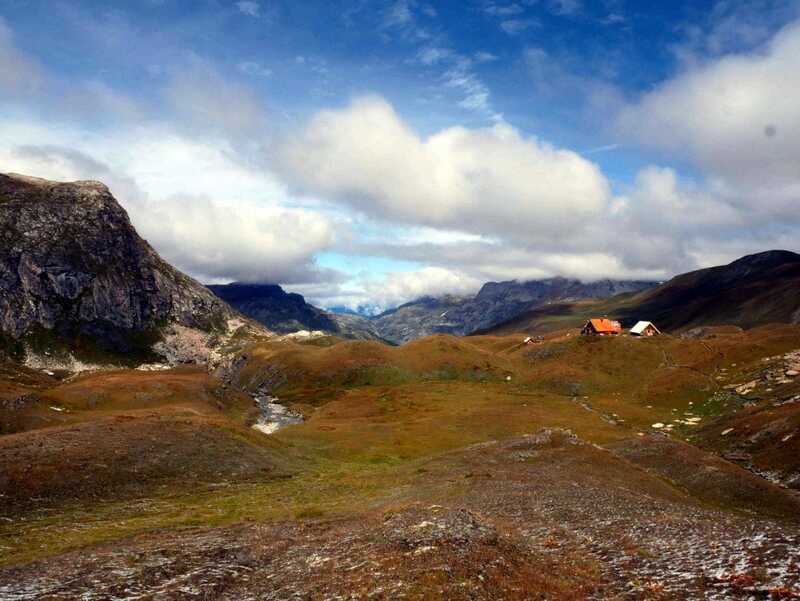 For a great Refuge to stay at if you’re looking to do a challenging hike try the combo of Fond D’Aussois Refuge and the Col D’Aussois & Pointe De L’Observatoire hike. The hike is one of our best and most difficult, and the refuge is modern and comfortable. We found it meets all expectations one has. For a more easy going combo of hut and hike, try staying at the beautiful Refuge du Lac Blanc and use our Lac Blanc de Termignon hike to reach it. The hike is great for families and the refuge makes a great omelette.  If you check out our Hikes in Vanoise you will find we also mention Refuge du Fond des Fours, The Refuge du Mont Pourri, Les Barmettes Refuge, The Refuge des Evettes, and the Refuge du Thabor. If you’re looking to stay somewhere with more nearby amenities, there are quite a few options. The main resort towns are Val d’Isere and Tignes. The premier hotel in Val d’Isere is the Tsanteleina Hotel. You can expect a 4-star accommodation, hot tub, pool and a good location (especially if you plan to ski). Tsanteleina is, like most hotels in the alps, done up in a chalet style. Unfortunately it’s only open for the ski season. Hotel Avancher is a great 3-star hotel in the area. They have a complimentary breakfast, airport transportation, and a great lounge area with some toys and old board games that kids love. This isn’t as good of a location in winter because they don’t have any drying facilities for your ski gear. It does still have that chalet-inspired feel, and it is great for families. The hotel is closed May-mid-June and again in Autumn. For a great three-star option in Val d’Isere try the Hotel La Toviére. They have a good breakfast buffet and a sauna and steam room to rest your bones after a hard day of hiking or skiing. They are open for summer guests starting in June and going until the end of September. If chalet-inspired isn’t quite enough, why not rent out an actual chalet? Bonjour-Bivouac from Ski Bonjour is our favourite ski chalet from Ski Bonjour, but they are more of a winter chalet. If you are planning a ski trip you can expect great catering and a more rustic, classical aesthetic. For the budget focused, camping in Val d’Isere is best at Camping Les Richards. The sites are nestled into the valley and put you only one kilometre out of town. They have a nice dining area and paid, hot showers. Near Val d’Isere is the high-altitude resort of Tignes. Tignes is not as charming as Val d’Isere, however the high altitude gives stunning views. Recently the town has worked hard to make summer a fun time to visit, and we think it’s a great base for families. For something luxurious try Hotel Le Refuge. The breakfast is unbeatable, and they’re open all-year-round. It’s a bigger hotel with a large, brilliant, and professional staff. If you want something more budget friendly try Hotel Le Dôme. It has that timeless ski chalet feel with the added bonus of being open in summer. There are also lots of private condos, which are great for families. If you chose a condo make sure to buy provisions in the valley floor, as the selection is less and prices higher in the village. Further south in the park you can find the charming town of Lanslebourg Mont Cenis. If you want to stay on the south side of the park – perhaps you are planning to head down to Turin afterwards – then this would be the location. It also happens to have one of the best hotels in all of Savoi: The Hotel Saint Charles Val Cenis. This hotel is quite luxurious. The rooms are modern and have balconies with great views. The pool area can’t be missed and the location is accessible. This looks like your stereotypical alpine chalet-style hotel. This is only open in July and August. For something more reasonable in Lanslebourg Mont Cenis, visit the Hotel La Vielle Poste. It is built literally in an old post office – hence the name. The rooms are still quite nice and you do get a decent complimentary breakfast. They also have ample parking if you are wisely renting a car. The last village we will mention is Bonneval-sur-Arc. This is often rated as one of the most charming villages in France, and we agree. We love this little village, and highly recommend it. The village has loads of charming stone buildings and, of course, great views. We liked the Hotel Bonneval sur Arc. The price is very fair and it feels like one of the main buildings in this little village. The rooms aren’t fancy but they are well kept. Our favourite place to stay in Bonneval-sur-Arc is La Greppa. While there are only two rooms each one is built and outfitted in the classic styling of the village but there is a crisp simplicity to it as well. You can tell it’s new and modern, especially in the en suites. The “Tea-Room” restaurant is quaint and beautiful as well. This is where to stay if you want to get away from the bulk of the tourists. To start, we look to the village of Bonneval-sur-Arc. We chose to start here because this small village wonderful, hearty, local French cuisine. None of these places are top of the budget but none are cheap eats. All are delicious, memorable meals. At the top of the tier there is La Cabane. It’s lovely. The stone building is full of old world aesthetic and while the recipes are inspired by tradition they are updated enough to keep it interesting. The charcuterie platter is not to be missed. The other two restaurants also happen to be located in the accommodations we mentioned: La Greppa’s Tea Room, and Hotel Bonneval sur Arc. The Tea Room obviously has an edge when you’re looking for pastries and the Hotel keeps their cuisine regional and traditional. For the highest point of luxury we look to two shining Michelin stars at L’Atelier d’Edmond in Val d’Isere. It’s only open in winter, so summer hikers will be disappointed. It’s amazing how they can make a meal truly unforgettable. They don’t ignore their setting either. The space influences the menu. Flash Pizza is a great place for the whole family. It’s small, only 14 seats or so, but the pizza is well done. I think we can all agree that sometimes you just need a slice of pizza. No shame in that. In Lanslebourg Mont Cenis our favourite spots are all similar in feel to Bonneval-sur-Arc. In the hotel we recommended, La Vielle Poste, you’ll find a great restaurant that mostly serves the guests, but often has a few tables for outsiders too. You’ll want to reserve a table. The food is lovely and you get the feeling they really take pride in their work. La Bambiche is probably our favourite place in Lanslebourg Mount Cenis. We love their selection of cheeses and the Savoie style cuisine; however, sometimes you just want something cheap and easy. it’s closed in the off-season. La Ramasse is the answer to easy quick French food. You can grab a great salad or crepe for an affordable price. Don’t forget all the refuges we mentioned above as well! The refuges always make a great lunch stop when you’re out adventuring. 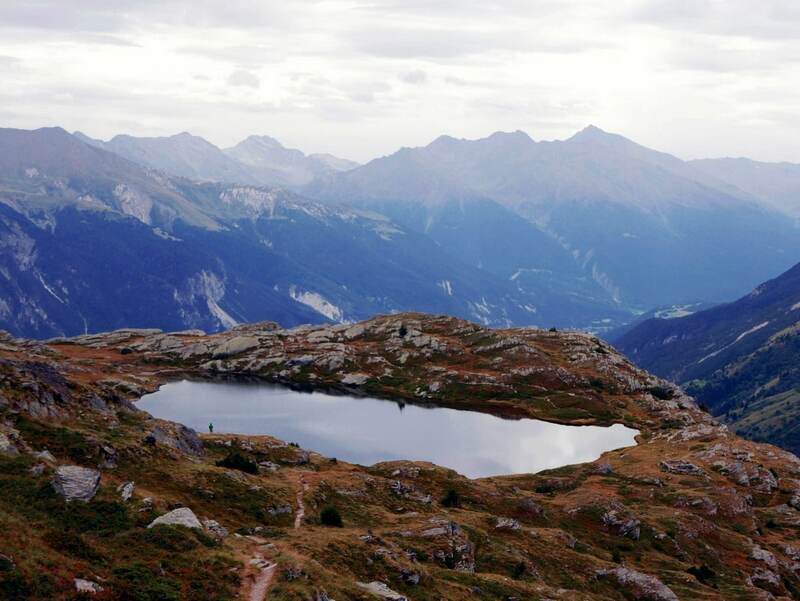 WHAT ELSE CAN YOU DO BESIDES HIKING IN Vanoise? There is no doubt that the Vanoise is great for hiking in the summer and skiing in winter. In fact, we won’t really go into too many other winter activities here because the skiing is just that great. But what sort of activities should you be sprinkling into your hiking trip? 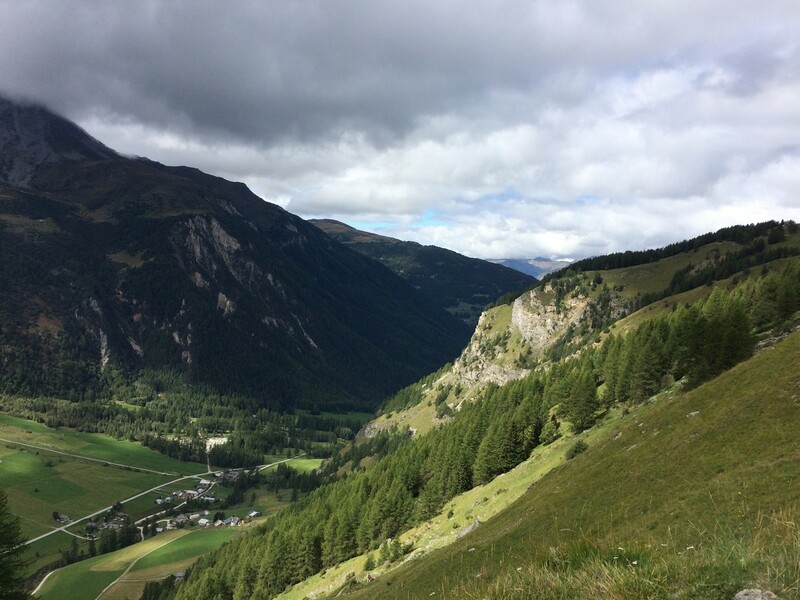 If you’re in Val d’Isere you’ll be really well located to the bulk of our hikes. Chances are if you have some kids with you you’ll be staying in Val d’Isere too. We liked taking the kids to both the Tennis Courts (nestled at the foot of the mountains, this might be one of the most scenic tennis courts out there) and then the Centre Aquasportif, which has an awesome pool, spa, and climbing wall. The spa is great after a day of hiking. Tignes is a great base for families as there is so much to do. Besides hiking they have great mountain biking. They also have lots of other activities in Tignes, such as swimming, sailing, tennis and golf. We love to take a craft out on the water. Check out the Water Sports Centre for more information. They do have a lot of fun things out in Tignes, so if you’re not staying there it might be worth a day trip if the family is tired of hiking. Alternatively, you could tack on some other activities onto a day where you hike the Aiguille Percee Hike we offer near Tignes. Bonneval-sur-Arc is beautiful enough that just wandering around the village is all the entertainment you need (it also happens to be all that the village has to offer, besides its restaurants). Our second favourite village, Lanslebourg Mont Cenis, has a beautiful lake like Tignes does and therefor it can provide some entertainment. They also have a great massage facility there as well called Les Massages de Laurent. 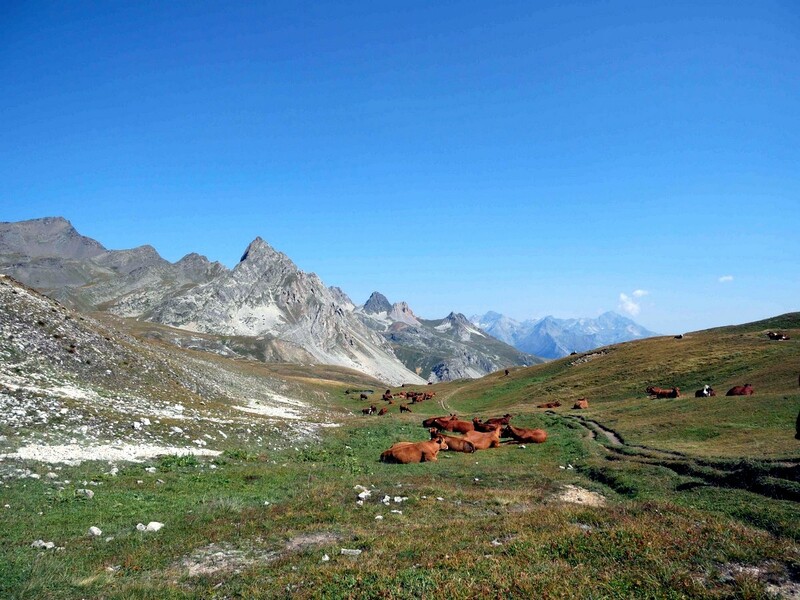 Nothing beats getting a quality massage after a long hike – like the Col Daussois Hike near Lanslebourg Mont Cenis for example. And finally, if you’re really looking for some extra adrenaline, why not go paragliding? This is an amazing way to see the park and it’s a memory you’ll have forever. Head to Champagny and meet up with the folks at Adrenaline Hunter, they’ll look after you. Weather can change quickly. Make sure to bring multiple layers. Always bring sunglasses, a hat and wear sunscreen – even in winter. The sun at the alpine altitude is very strong. Storms are common in the mountains. The storms can also come out of nowhere, especially on hot summer days. At the first signs of a storm, get down off any ridges and away from waterways. Make sure to avoid any pole-like structure or solitary trees. Fog and low clouds can fill in fast on the mountain. Stay on the signed paths when this happens and bring a rescue whistle with you as well as maps and some form of compass. In especially sloped areas watch out for slippery wet grass and small rockslides from hikes above you. While not an extreme danger, the big white Great Pyrenees dogs that guard the sheep in the area may look like oversized golden retrievers, but these dogs are trained to protect their flock. Keep that in mind. Some people have gotten bit in the past. English isn’t as common as other parts of the Alps, except in Tignes and Val d’Isere. Even in tourist towns it’s worthwhile to know a few polite phrases to help you out in your travels. The ibex and chamois spend most of the year above the tree line in Vanoise, but they do descend in early spring and late fall to find grass free from snow. So, if you’re curious to catch a glimpse of them, keep that fact in mind.